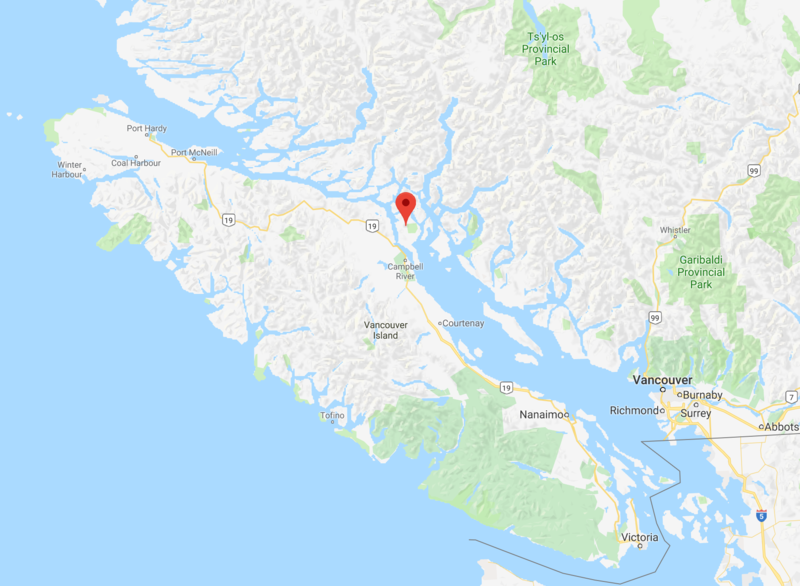 There’s a cool new video just released about research in the Discovery Islands, mainly Quadra Island, on the central east coast of Vancouver Island (map). 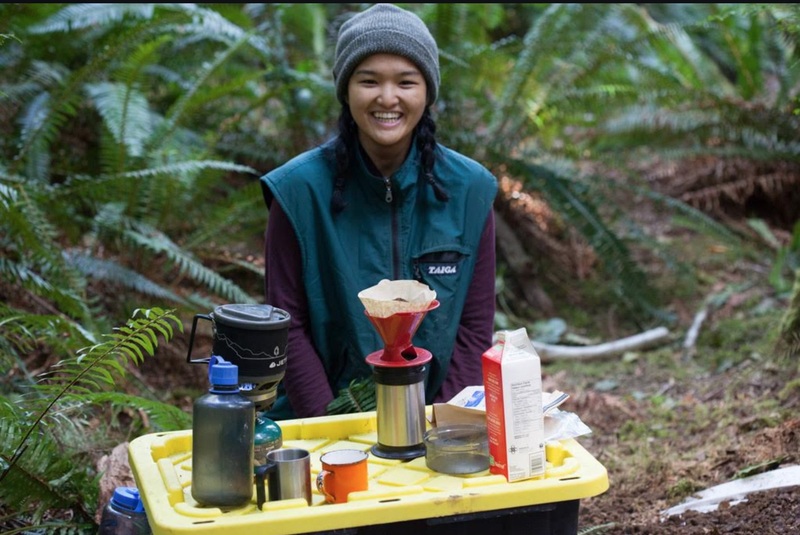 The video was produced through the Hakai Institute, a philanthropic organization which over the past decade or so has been funding a lot of primary research in ecology, geology, culture and archaeology on the B.C. Coast. The archaeological project in the video was focused on the terminal Pleistocene and earliest Holocene, with an effort to document long-term sea level history for Quadra Island, and then use LiDAR-derived base maps to help with predictive modelling and other tools to find old sites on old coastal landforms. That was the plan! I mean, of course the real plan was that grad students would do as much of the brainwork as possible, Daryl would dig, and high-quality coffee would be made. Quadra Island Clam Gardens. Source: Groesbeck et al. PLOS-1, 2014. 1. Sea Level History of the Discovery Islands. 2. 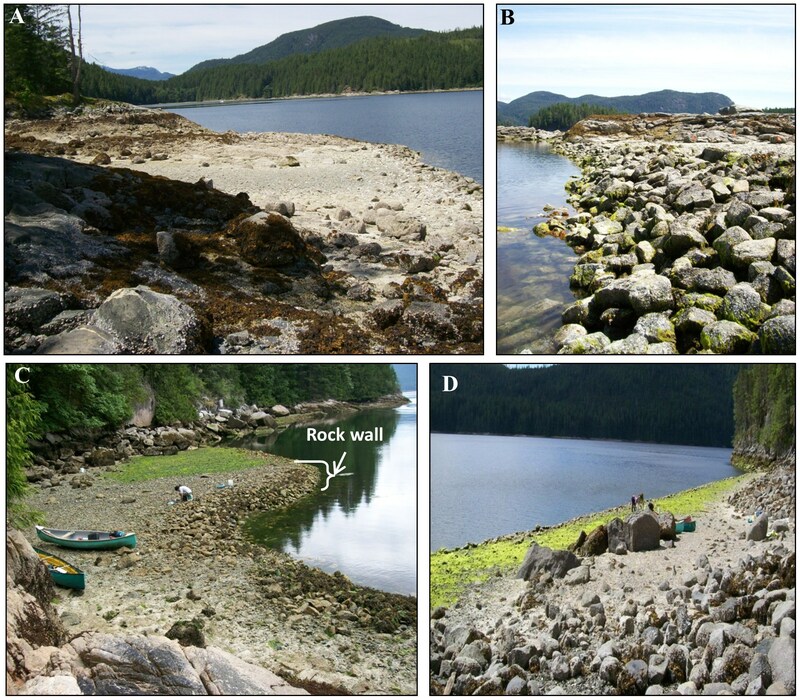 Quadra Island’s Ancient Clam Gardens. 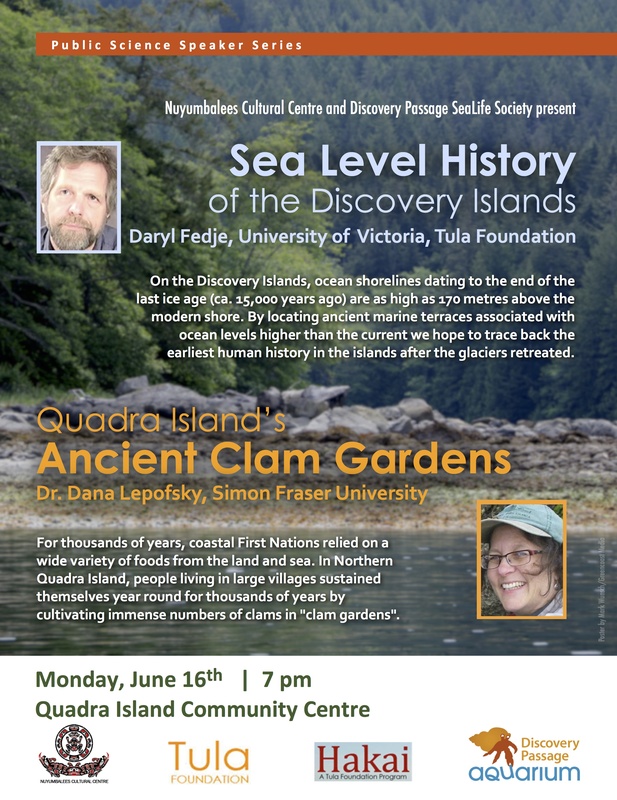 So I usually limit my announcements of public talks to those happening in the Victoria backyard of Blog World Headquarters but it so happens there is one exceptional one coming up on Quadra Island, where I’ll be spending the next week. The talk, actually two talks, will focus on two archaeological projects underway up there. The poster advertising the talks is here, or you can read more below.